This is a Miele S2, S4, S5 and S6 series canister vacuum cleaners with suction only. Will also fit all other Miele canister vacuum cleaners with the power cord on the outside of the wand or with straight suction only. 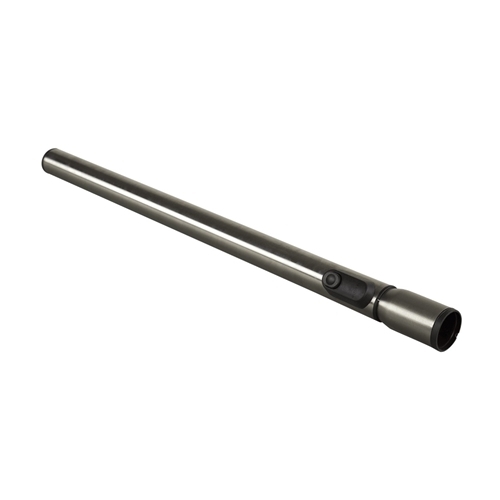 Can also be used as an additional extension wand for all Miele vacuum cleaners including models with electrical connections. This Miele 2-Section Stainless Steel Telescopic Wand is very convenient with its large latch release pads and adjustable height to match your stature. It is 40 3/4" long when fully extended and 23 7/8" long collapsed. The stainless steel construction keeps it working smoothly for years to come, even in high humitity areas. Alternate part numbers MV05658811 , MV09265990 , MV09265991 .